The Sheepish Heart Bomb is almost here!! Have you started making your hearts yet? If you need some last minute ideas or patterns, you came to the right place. 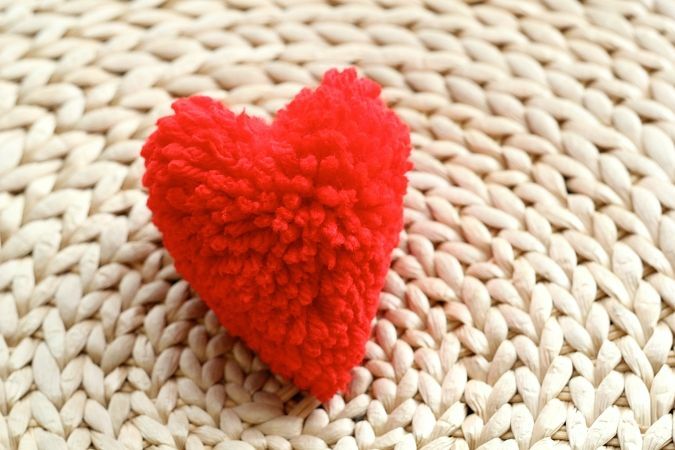 No time to knit or crochet your heart? 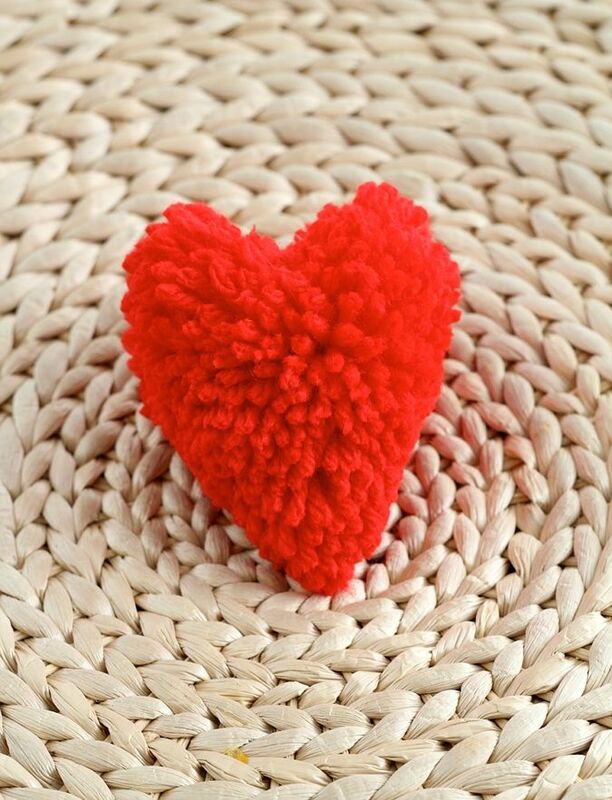 Make a heart-shaped pom-pom! I simply used my pom-pom maker like normal and shaped the finished pom into a heart! So cute. These would look adorable attached to Valentine's Day gifts. 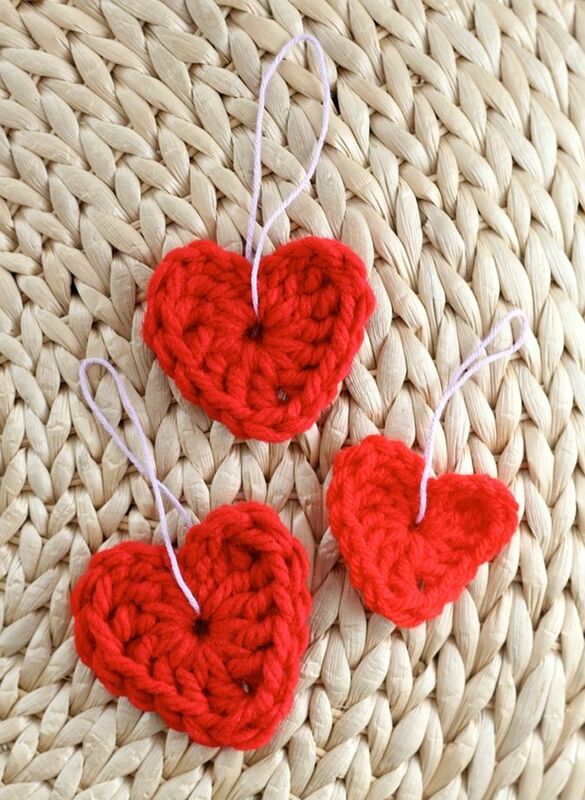 Here is the basic pattern for the crochet hearts I made in my first post. 2 triple crochet, 3 dc, in the center of the loop. Ch 1, 1 triple crochet, ch 1, 3 dc, 2 triple crochet in the center of the loop. 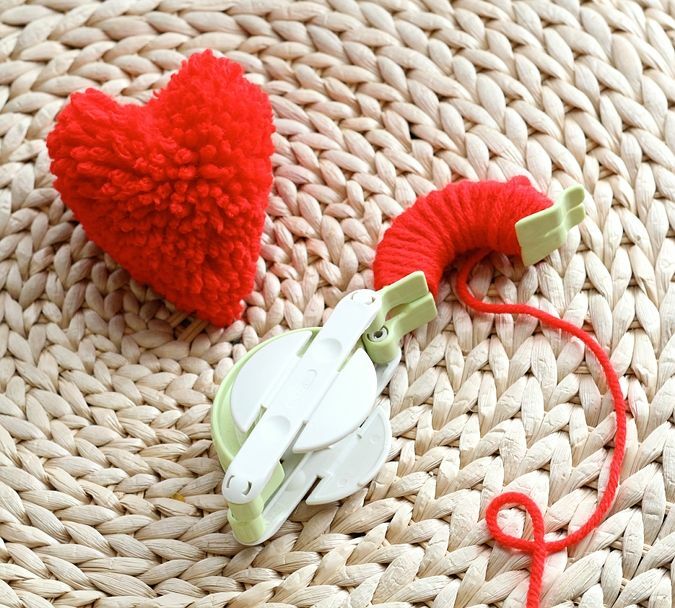 Tighten the center of the heart by pulling the excess yarn tail. Join the ch 3 in the center of the heart with a slip stitch. Bind off and weave in the ends. 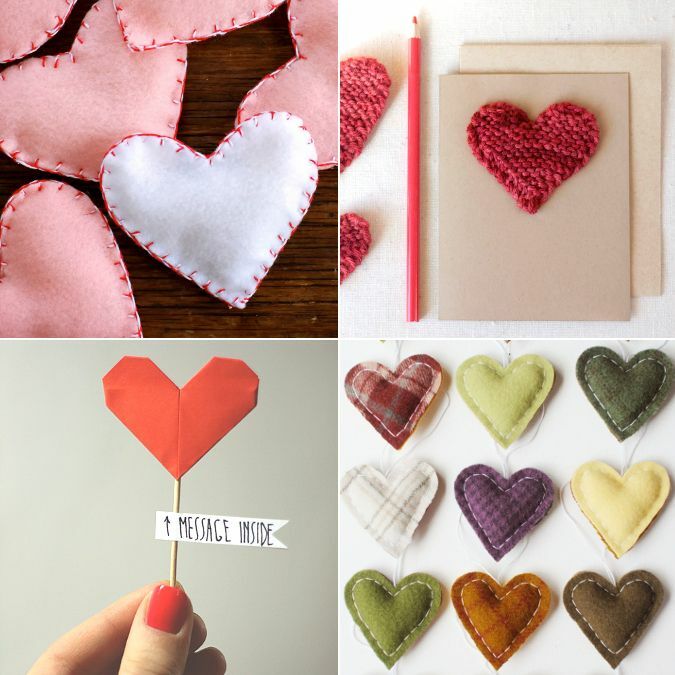 If you want to try something other than pom-poms and crochet hearts, here is a little roundup of some of my favorite fabric, paper, and knit heart projects out there! I hope this roundup inspires you to join the fun this weekend! Don't forget to attach a kind note and include the hashtag #SheepishHeartBomb. What kind of hearts are you making? I would love to see! Thank you to everyone who has shared their hearts on Instagram and Twitter so far. Friday is going to be wonderful!